I tried two methods of screen printing (two methods of making the screen really, one way of printing) while making some fan shirts for the World Cup. The process is pretty easy, and I'm quite happy with my first-time results. The ink is the biggest cost, and on a per-item basis it's still pretty cheap. 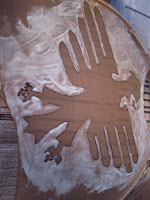 There are two major pauses during the process when waiting for glue to dry and when waiting for ink to dry. I looked at a few other blogs for ideas, particularly this one and this one. I decided to try both methods for screening. 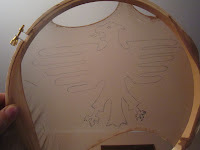 For the Germany logo, I used a knitting hoop to attach the nylon. 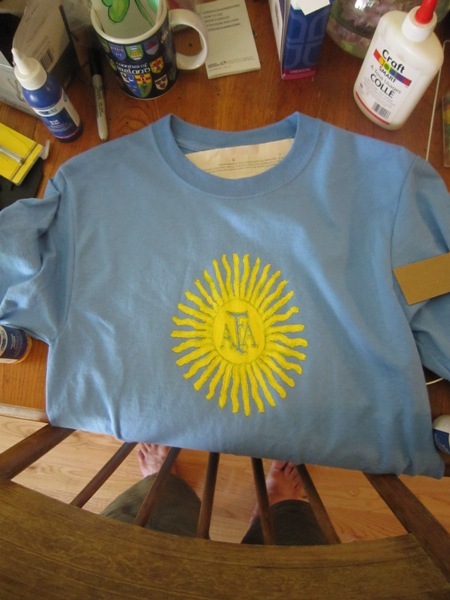 For the Argentina shirt, we used a regular picture frame and duct-tape. But first things first. 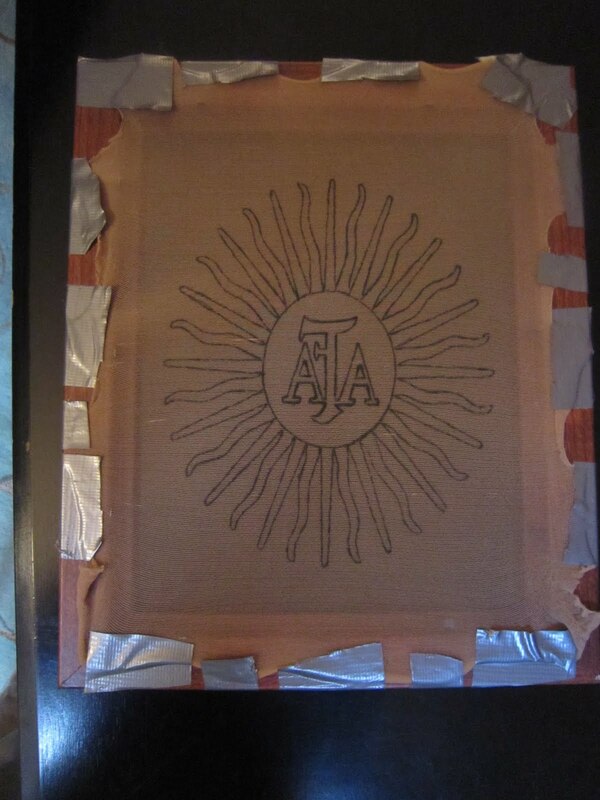 This project required: Shirts, Screen Printing Ink, Nylons, Frames, White Glue, and an image. 1) Image: First I made my image. The two images are both adaptations on the soccer logos of their respective countries. You will be able to see pretty much any image through the nylon, whether it is printed from a computer or drawn in pencil. 2) Nylon: Next I put the nylon on the frame. This turned out to be tricky to do with only one person. The nylon stretches well, but you need to tape it very well. Putting it in the knitting frame one-handed turned out to be a nightmare, so in the future I think I'm sticking with the picture frames and duct tape (masking tape wasn't strong enough to hold the nylon). You want the nylon to be taught, but not ripped. Make sure that it is above the frame so that it will later be able to be flush against a t-shirt. 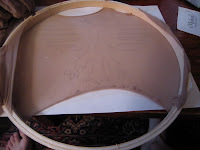 Here are the two methods (frame and hoop). I definitely prefer frame. 3) Putting Image On Nylon: To trace the image onto the nylon, place the frame face down (nylon side down) on top of the image you want to make. 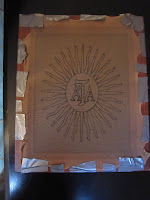 Very carefully trace the image in ink onto the nylon. This is a very easy place to rip the nylon, so do not press down too hard. 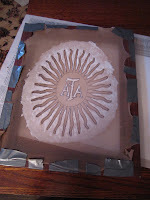 4) Glue the background: Next, put glue around the image (from the top). Wherever glue goes, no ink will go through. A paint brush can be very useful here. Make sure to give yourself a nice big buffer of glue around your image to make sure paint doesn't sneak onto the shirt around the edges. 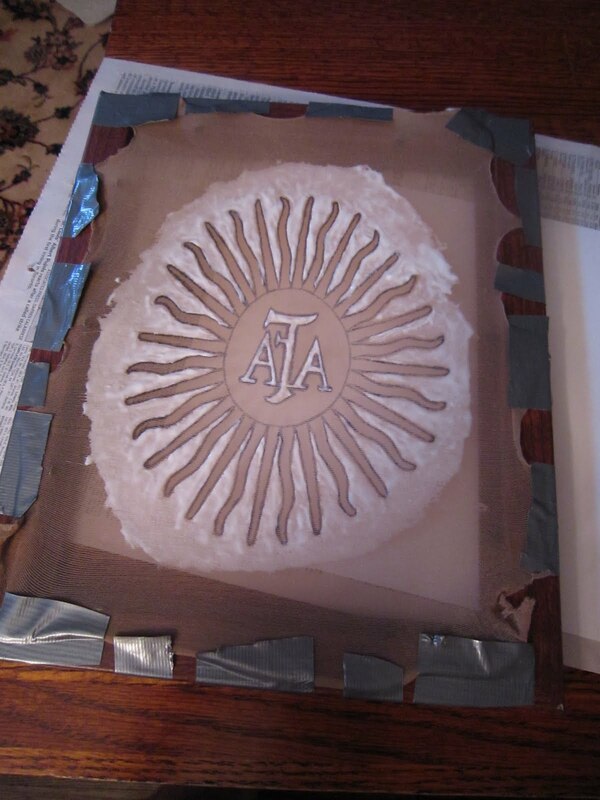 You will need to let the glue dry completely before continuing, which can take awhile, and it doesn't hurt to hold the image up to a white wall or light source to double check to make sure there are no gaps in the glue. 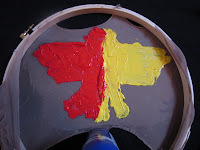 4) Paint: Once the glue is dry, you can put your frame face down on your shirt. 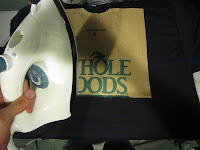 Make sure it is flush with the shirt (add weights if needed) and add ink. The darker the shirt, the harder it is to get good coloring. 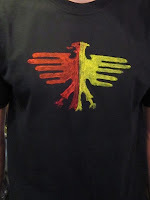 For better coloring on dark shirts do a white print first, then follow with color. Don't be afraid to put down quite a bit of ink, but make sure the nylon doesn't shift during the inking. A piece of cardboard can be helpful for spreading ink. Once you have gotten everything covered, slowly pull the frame off the shirt. Wash the ink out of the screen if you wish to re-use it (do this before the ink dries!). 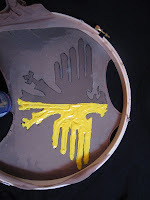 You will most likely need to touch-up a few places to get a solid coloring. Once you're happy with the coverage, let the ink dry completely. 5) Iron: Once the ink is dry, you will need to iron the shirt to set the image. Each type of ink will have it's own directions, but this is usually 2-5 minutes on each side. 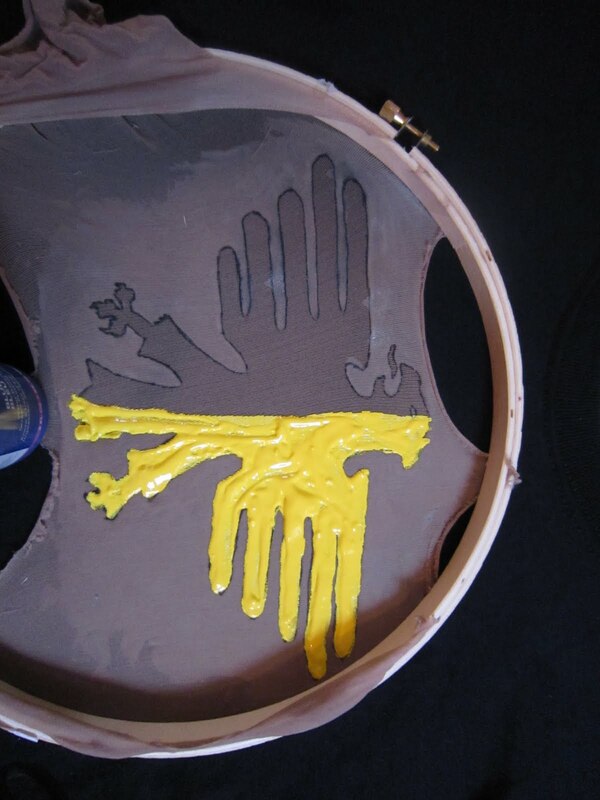 Do not use steam unless specifically stated in the directions (the inks are water based usually). 6) Be Done: And voila! A home-made shirt with whatever design you fancy. Oooh! Those are fun! I really like the blue and yellow one. What team is that for? I bought a fantastic Germany team shirt from the JCPenney's boys department over the weekend for only 7 dollars. http://bit.ly/chJOYs That's the shirt! I'll have to show you sometime.